It's hard to believe this is the 4th Sunday of Advent and the last Sunday before Christmas Day! It will surely be a busy week for our family as I'm sure it will be for you too! 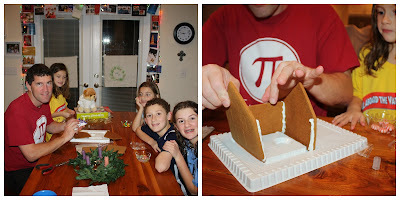 I thought I would post some crafts and baking links that I have done in the past and I hope to do some of these this week during our break from homeschool lessons. Just click on link to find out more. 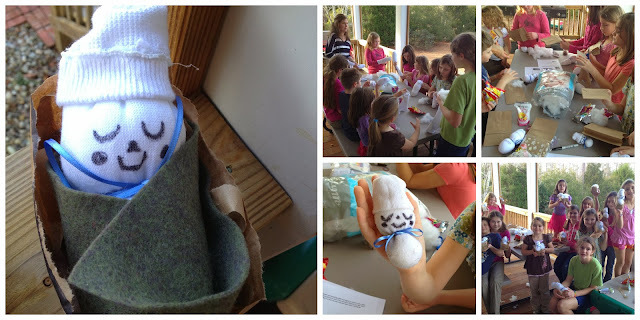 We made our sock baby Jesus last year with our homeschool group after I read Saint Francis Celebrates Christmas, a great children's book about the first Nativity that began 800 years ago by Saint Francis of Assisi. This week we will be adding to our "Handy Tree Skirt" that we have been doing each Christmas since 2008. 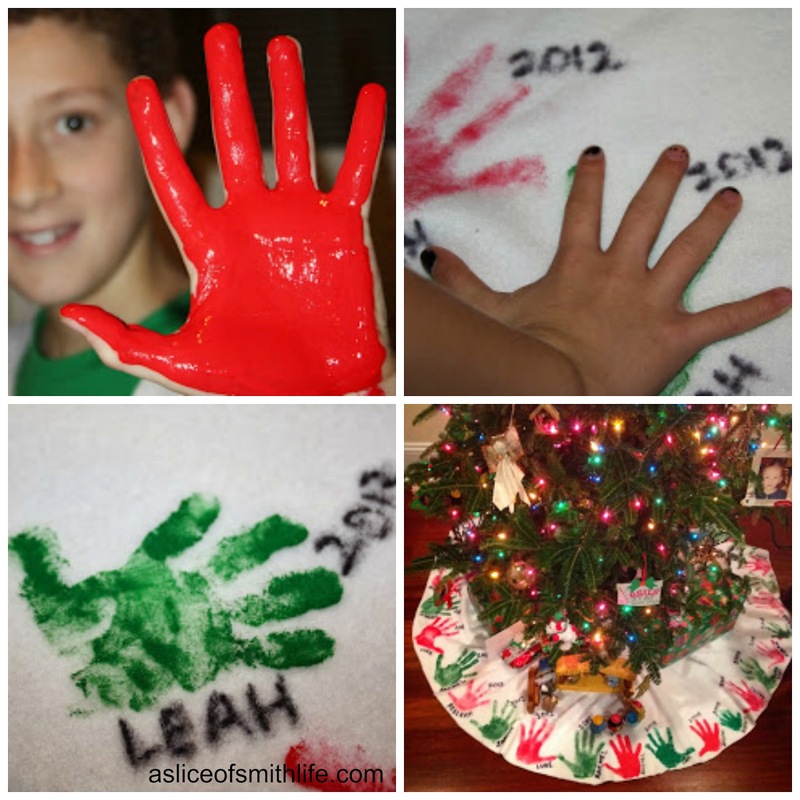 It's always fun for our family to compare the hand sizes through the years and it is very festive under our tree. 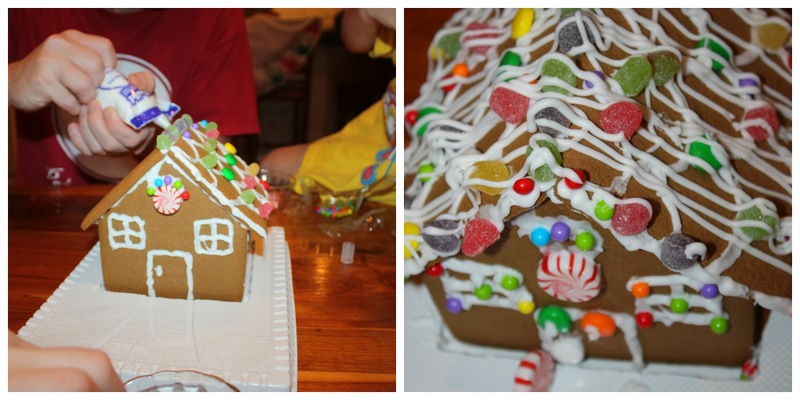 We always make a gingerbread house each year. This is on my "to do" list this week. 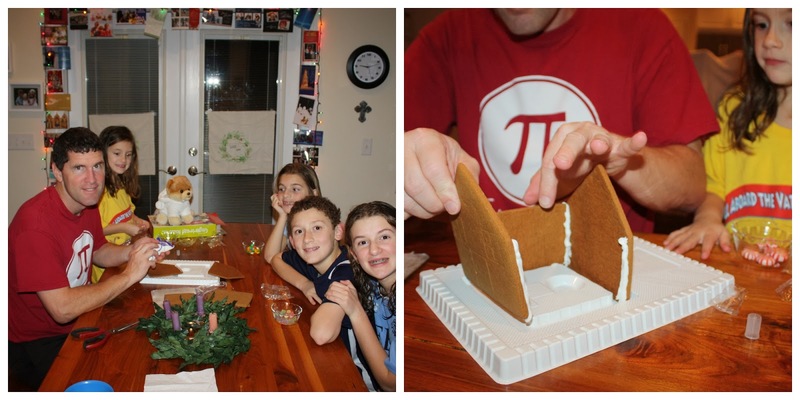 We have also done these fun activities from the past and some of them we still do each year like making the Bua Bark, pretzel treats, and a birthday cake for Jesus. 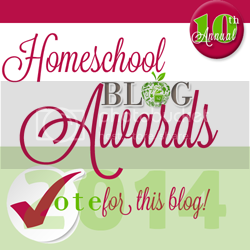 Also, my blog here has been nominated in 2 categories for the 2014 Homeschool Blog Awards. I was nominated in the Best Variety Blog and the Best Homeschool Mom Blog. Coming up soon on the blog this week will be a collection of our family's Christmas photo cards from the year of our wedding (1997) to present as a fun way to wish my readers a blessed and merry Christmas! Thanks Annita! So glad to see your comment and I always love your visits! Thanks for the vote too! :) Have a blessed and merry Christmas with your beautiful family!